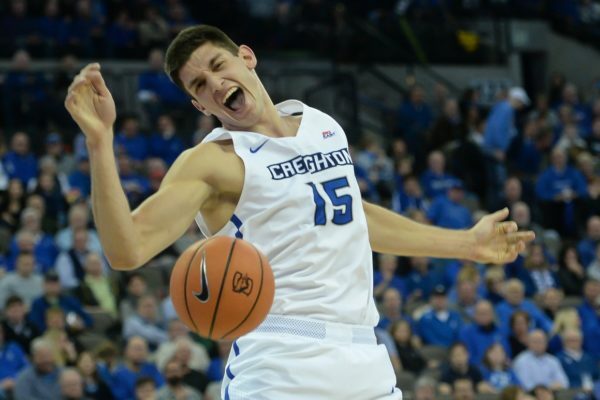 Despite losing four of its top six scorers from last season’s 25-10 team, Creighton has found itself flirting with the Top 25 and comfortably above the mid-January NCAA Tournament bubble discussions. As the story was expected to go this year, backcourt mates Marcus Foster and Khyri Thomas have paced the offense, accounting for 37 percent of the team’s scoring production and 40 percent of its shot attempts. And while Foster has historically been an inefficient scorer and Thomas a better defender than playmaker, the two have formed a tenacious offensive tandem this season, showcasing their abilities to score in virtually any scenario. 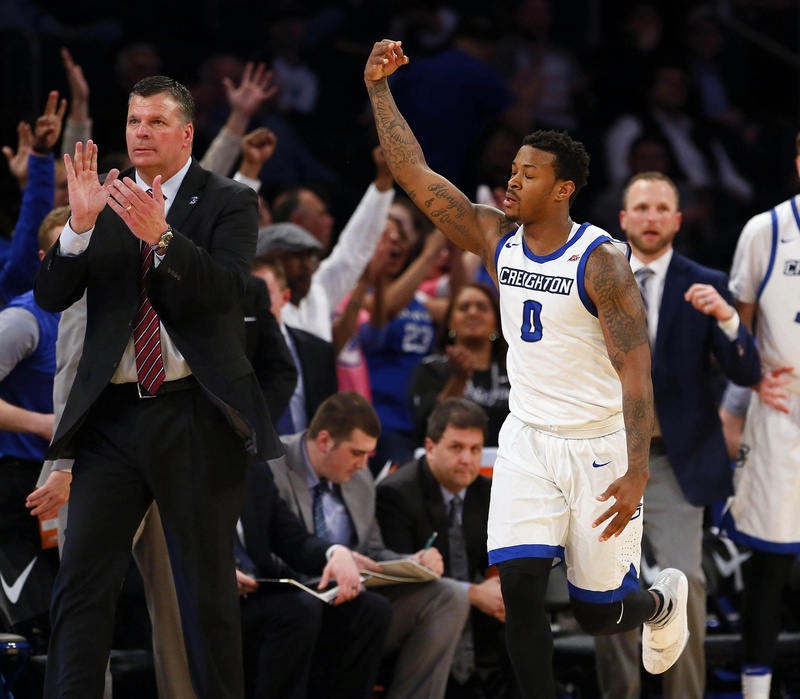 Some observers assumed that the Bluejays’ offense would sputter or devolve into more isolation sets without the services of point guard Mo Watson or superstar big man Justin Patton, but head coach Greg McDermott has ensured that isn’t the case. The biggest offensive concern heading into this season was how the lost interior production of Patton would be replaced, but Creighton is on pace for its best offensive season since Doug McDermott was still on campus in 2014, and that unlikely success has come from an unexpected source. While Foster and Thomas receive most of the offensive credit, it is actually Martin Krampelj, who averaged under six minutes per game last season, who holds the crown as the team’s most efficient player. In fact, Krampelj owns the highest effective field goal percentage of anyone in the Big East with a greater than 50 percent minute share. His 69.6 percent conversion rate is largely a product of three-quarters of his shot attempts coming right at the rim, but nevertheless, finishing those attempts at an 83 percent clip is astonishing. Krampelj’s role is important for two reasons. First, he is far and away the team’s best and only consistent source of offensive rebounds. McDermott’s system typically does not prioritize offensive rebounding (only 3.9 percent of his team’s shot attempts arise from putbacks), but they remain a highly efficient origin of points. Second, Krampelj’s inside scoring and ability to draw fouls there add offensive diversity to the team’s perimeter-oriented style of play. The 6’9″ forward accounts for nearly a quarter of his team’s shot attempts at the rim and is a huge reason why the Bluejays are having their best success there in years (see below table). RTC is providing coverage of The Hall Of Fame Classic in Kansas City. Jo-Lual Acuil brought the intensity on the defensive glass. Creighton wasn’t known as a gifted rebounding team coming into tonight’s championship game and Baylor’s Jo Lual-Acuil ensured that would remain the case tonight. While the senior’s extreme length gives him an inherent advantage nearly every night out, his lack of bulk in the form of a 225-pound body on a 7’0″ frame and corresponding effort isn’t always there. This means that he can be too easily moved off the blocks by other high-level forwards like Wisconsin’s Ethan Happ. For at least one night, however, Lual-Acuil flipped the script in pulling down 15 of his team’s 38 total rebounds to deny Creighton a number of opportunities for second chance points. Both teams turned up the defense. After allowing 1.06 points per possession to UCLA on Monday night, Creighton head coach Greg McDermott stressed the need for his team to improve its defense. As a result, the Bluejays put the clamps on Baylor’s offense by hard-hedging screens at the point of attack, preventing the smallish Manu Lecomte from locating defenders over the top. On the other end of the floor, Baylor tightened things up after giving up several Creighton drives in the first half. The Bears were much more active defensively down the stretch, holding the Bluejays to just 29 percent shooting after the half. Marcus Foster is going to want tonight’s effort back. 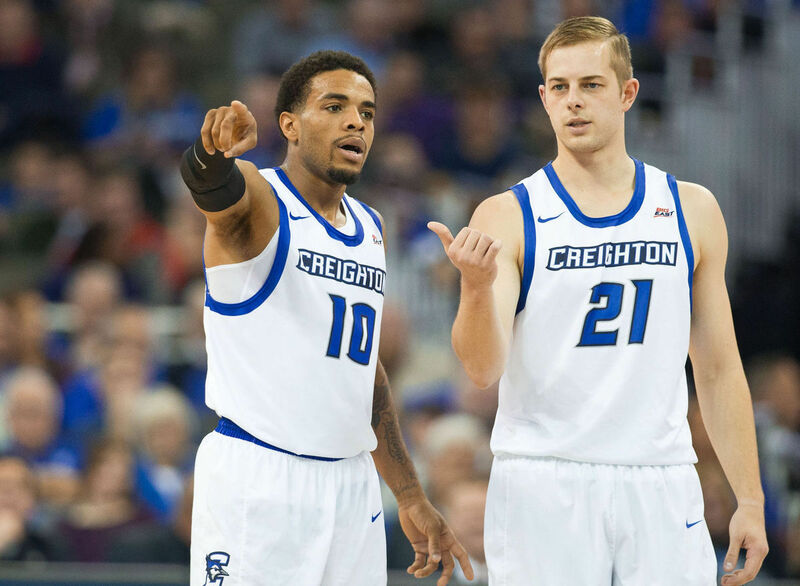 Creighton needed a spark in the second half but the senior guard hurt his team more than he helped in shooting a frosty 5-of-17 from the floor, including a ghastly 1-of-9 dud from the three-point line. Foster’s last two misfires, a pair of corner threes during the final minute, sealed Creighton’s fate and allowed the Bears to leave town with the Hall of Fame Classic title. Player of the Game. King McClure, Baylor. The Bears were offensively starved for most of the night, but the junior stepped up in an impressive manner, scoring 15 of his game-high 19 points after the intermission. Mixing several tough drives with a pair of three-pointers, McClure showed the ability that has made him such a valued part of Scott Drew‘s unit over the last two seasons. Creighton played with pace but also with intelligence. The Bluejays are known for their frenetic pace but every movement tonight had a purpose, and that purpose was to find smart shots. Greg McDermott‘s team attacked the paint relentlessly, resulting in easy buckets and numerous trips to the free throw line (31 FTA). Creighton also turned the ball over on only 9.4 percent of their possessions, meaning that they got at least one shot up on practically every trip down the floor. The Bluejays’ defense wasn’t always at its best tonight, but Big East teams should be terrified by their potent combination of fearlessness and efficiency. UCLA’s lack of frontcourt depth was exposed. The Bruins had trouble containing Creighton down low all night, whether it was in the form of Marcus Foster, Ty-Shon Alexander or Khyri Thomas barging through the lane. As a result, UCLA big man Thomas Welsh picked up three personal fouls in the first half alone, and frustration set in throughout the remainder of the game as UCLA gave several hard fouls which only resulted in more easy points. A greater amount of production from Gyorgy Goloman and Alex Olesinski would have helped significantly, but both fell short tonight (four points and six rebounds combined in 35 minutes of action). Ronnie Harrell did the dirty work down low. With starting big man Toby Hegner still missing time with an ankle injury, McDermott gave the junior forward Harrell his first career start this evening. 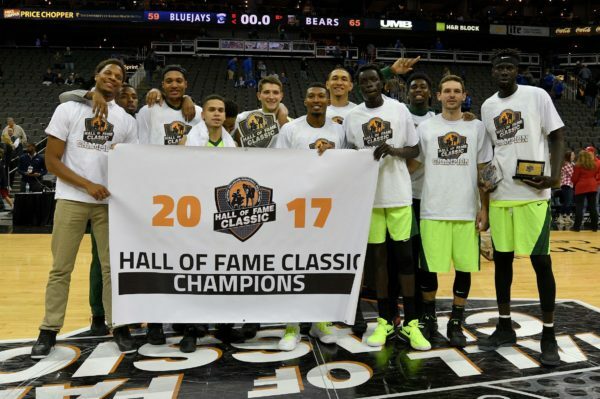 Harrell put in an effort reminiscent of Creighton alumnus and 2017 College Basketball Hall Of Fame inductee Paul Silas, pulling down 15 rebounds and denying a number of second chances to UCLA’s talented offense. The season is finally upon us, with eight Big East teams taking the floor tonight. Here is the Big East microsite’s preseason Honor Roll. Player of the Year: Trevon Bluiett, Xavier. 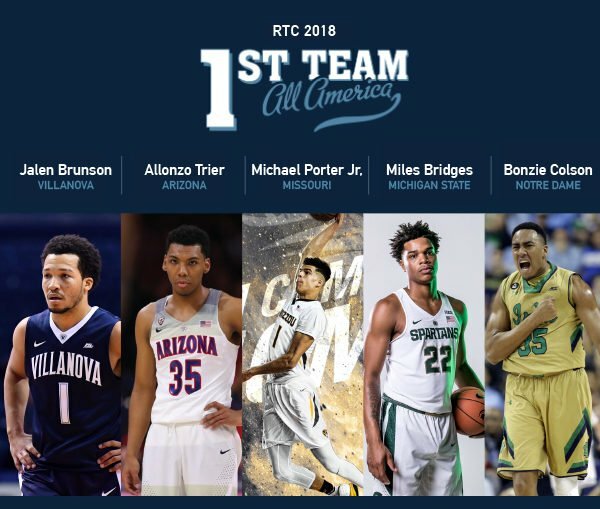 This award could end up with a number of players depending on how the season turns out, but it’s hard to argue that any single Big East player has as much of an impact on his team as Bluiett. The 6’6″ senior was unstoppable last March, averaging 25.0 PPG in the NCAA Tournament before the Musketeers finally fell to Gonzaga in the Elite Eight. He’s arguably the conference’s best scorer and the Musketeers averaged eight more points per 100 possessions with the versatile wing on the floor. The Xavier offense will be increasingly reliant on his ability to draw the attention of opposing defenses, particularly without the services of Edmond Sumner this year. Provided Bluiett finishes the season as advertised, it’s difficult to imagine many conference players posting punchier stat lines. Newcomer of the Year: Omari Spellman, Villanova. Before being ruled ineligible, Spellman garnered plenty of attention last offseason as one of Villanova’s highest-rated recruits of the last decade. Now that he has been cleared to play in his second year with the program, the 6’9″ freshman is one of the team’s lone legitimate post presences. Barring foul trouble, Spellman should receive plenty of playing time, making his role as a scorer and low-post defender critical for a team that lacks depth in those areas. 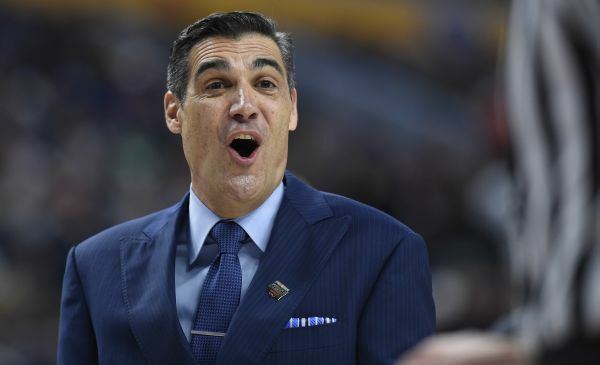 There will be plenty of freshmen in the Big East who will make an impact come March, and perhaps several who earn starting roles along the way, but the spotlight will naturally follow the conference’s front-runner, Villanova. Consistent play from Justin Patton is a major determinant of Creighton’s postseason success. He’s gotten some flak lately for inconsistent scoring and sub-par defense but the numbers don’t lie. With the 7’0″ freshman on the floor, Creighton allows just 0.95 points per possession — when he’s on the bench, this number stands at 1.06. For a 70-possession game, this amounts to a difference of seven points allowed per game. Moreover, Patton’s impact on the offensive end as a catch-and-finish rim threat and capable three-point shooter have been long admired by scouts, and Friday night’s output was a perfect showcase: Patton poured in a highly efficient 21 points on 10-for-13 shooting. Xavier’s inexperience at the point guard position is overblown. Obviously, the injury to Edmond Sumner does more harm than good, but freshman Quentin Goodin has come a long way in averaging 7.4 points and 5.2 assists per game in his absence. 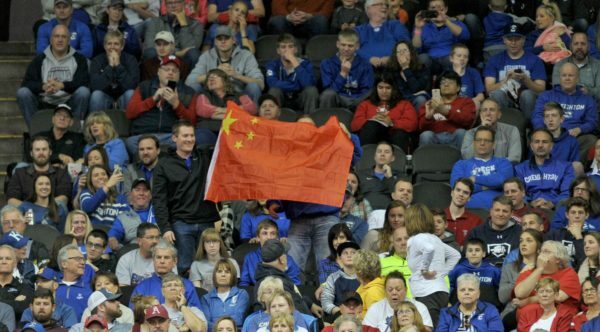 There are many similarities to their games, notably the ability to channel well-timed passes to the post and a tendency to attack the basket, making Goodin an ideal substitute. 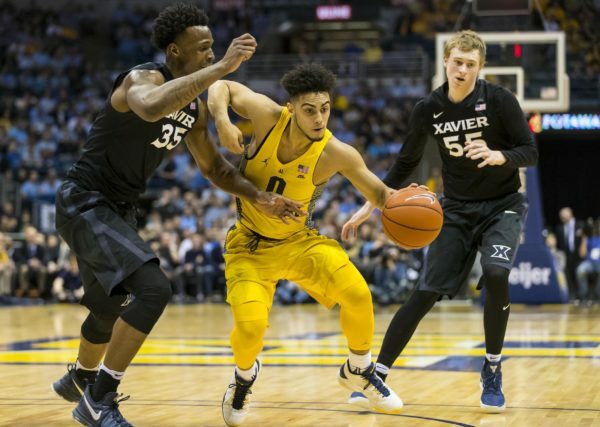 As such, while the freshman isn’t nearly the same finisher as his counterpart, his recent bout of confidence has given Chris Mack‘s four-out perimeter offense much more room to run with results following. Tonight marked a revival of two struggling offenses. Xavier’s turnaround got underway earlier this week after a string of poor performances marked by questionable shot selection and decision-making. Meanwhile, Creighton broke a three-game skid of sub-32 percent three-point shooting, an unusual slump for a team that is averaging 40 percent on the season. Needless to say, confidence plays a vital role in offensive efficiency and both teams are turning things around at the right time. 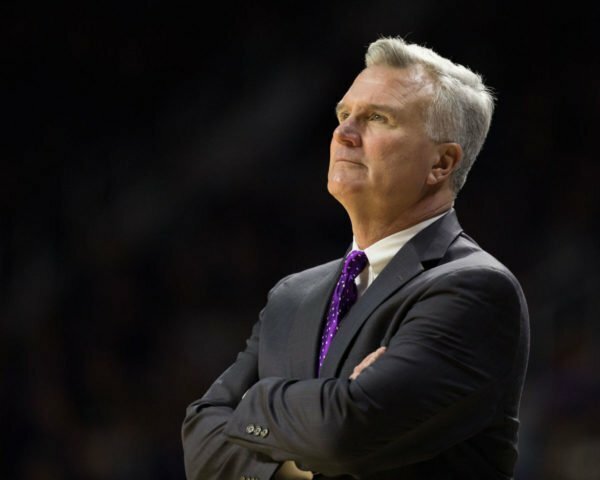 As if the college basketball world needed yet another reminder, this week has emphasized just how difficult it is to win on the road. On Tuesday night, Kansas, Kentucky and Villanova all came up short in away conference battles, followed up last night with Georgia Tech blowing out Florida State and USC outlasting UCLA, both on the road. 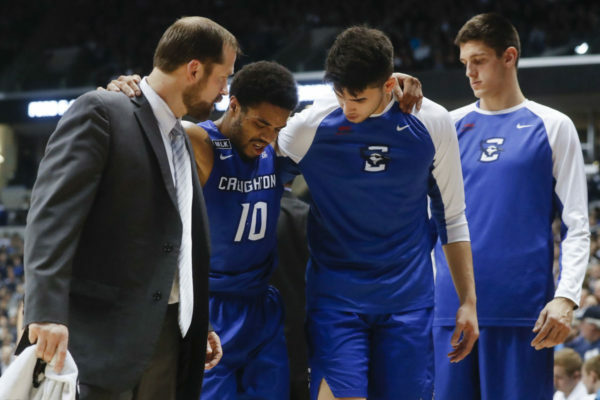 Perhaps the most concerning loss of the week — because replacing talent is more difficult than adjusting tactics — may have taken place in the nation’s capital where Creighton suffered its second straight defeat, 71-51 to Georgetown, without injured point guard Maurice Watson, Jr. The senior’s absence is being felt across the board. “He made the game easier for coach [Greg McDermott], me and all my other teammates,” freshman center Justin Patton said after the game. | big east, feature, microsites | Tagged: creighton bluejays, greg mcdermott, justin patton, marcus foster, Maurice Watson Jr.